Most solutions that bring spatial data to the field all bring the obvious functionalities, however, some like to call them ‘extraordinary’ or the ‘most powerful.’ That’s simply untrue; they aren’t the best solutions out there! We hear that end users don’t like those products, that implementation times are lengthy and costly for their customized application or that the application simply has not been delivered into production after months. This is not rocket science, but requires the right architecture and philosophy behind the product and since these issues are unacceptable, we created Atlas which is not plagued by those limitations. We believe that any such solution should contain tracing, work order assignments, dashboards, document attachments, and augmented reality. As well as some form of forms to support business processes like inspections, assessments, and surveys. We also believe that flexibility is key. By flexibility, we mean extreme responsiveness to as many situations as possible. Yes, just that: data-model changes: no problem. Incremental updates: no problem, live data back and forth: no problem. Offline: no problem. What about configuration times that are measured in weeks, not months? Scalability or Disaster recovery? No problem: we can bring an additional server online within 30 mins and dedicate it to load balancing, DR or both! Try Atlas before you sign on with a different product! Our ROI is much faster; your IT department will love it because of simplified maintenance and support. End users will be happy because they get to work with a beautiful, intuitive product that just does its job and more! Edward Hall (born 15 January 1988) is an English professional strongman, notable for being the World’s Strongest Man 2017 champion and the only man to deadlift 500 kg (1,102 lbs 5 oz) under strongman rules. 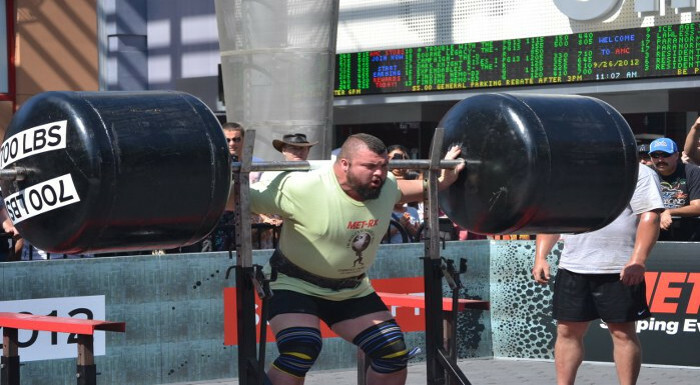 He has also won on multiple occasions both the UK’s Strongest Man and England’s Strongest Man titles. He is the 2017 World’s Strongest Man and the current world record holder in the deadlift with straps.